Royal Fawn's Son, Dark Fawn! 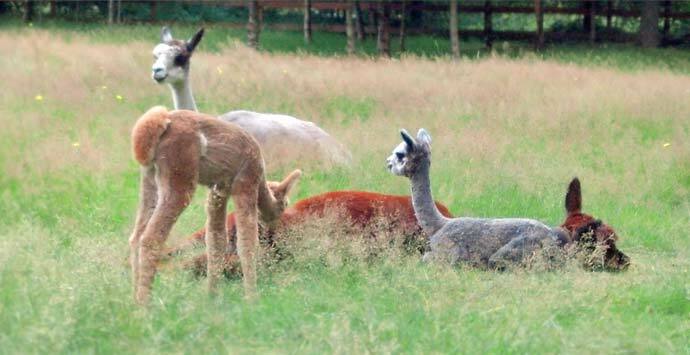 The first cria out of our Futurity (and everything else) champion, Tinkerbelle and Sired by The Last Don, also white. 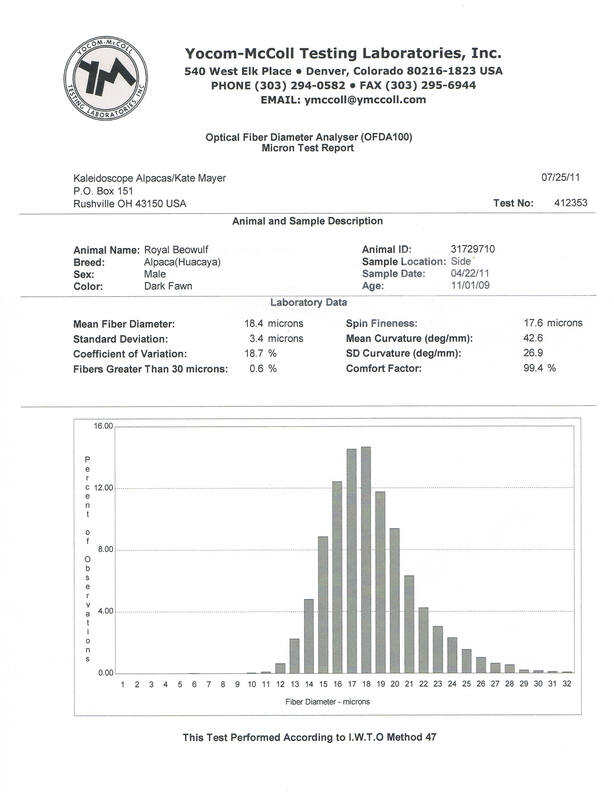 Go Figure the genetics on this one! Note her beautiful head and check out her two Championship quality sons...they both have "the look" the judges love. 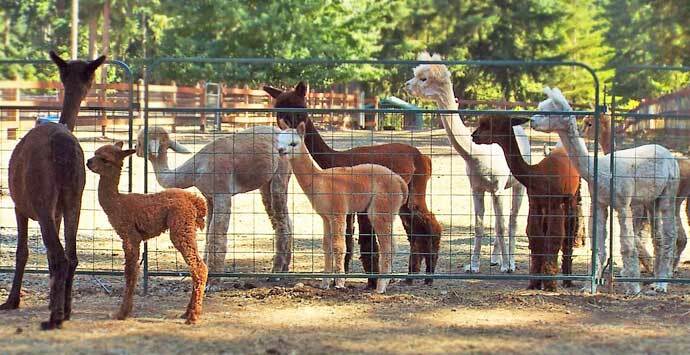 Fancy bloodlines, fancy cria and an all around wonderful foundation female. 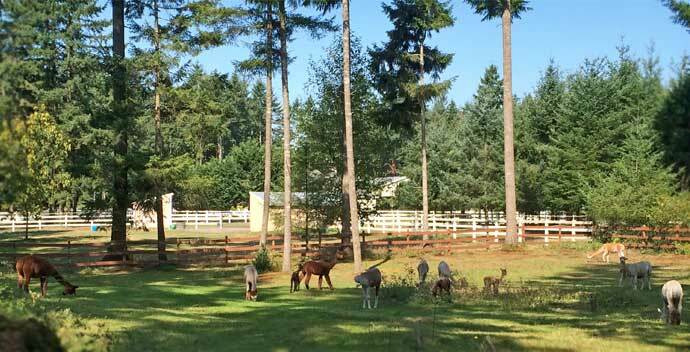 Baci recently gave birth to a Royal Fawn son and he is certain to be in our show string at the end of 2010. 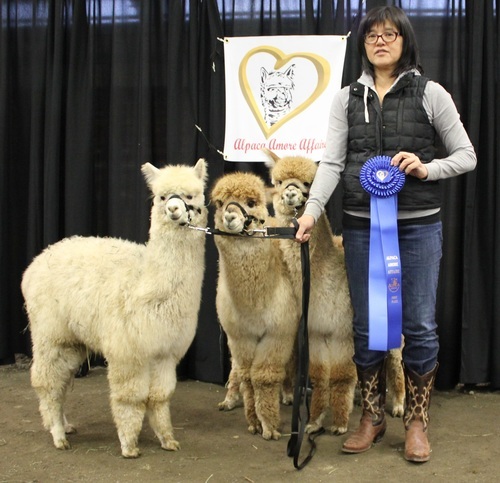 She is also the dam of "Accoyo Hudson" multiple color champion and judge's pick-Mary's Alpacas. Don't miss this special breeding! Get it now for your 2016 breeding program. Full-service included, free boarding until conformed pregnancy. Guest female stalls and pastures available. MARY'S ACCOYO ROYAL BEOWULF is one of the DARKEST FULL ACCOYO in America. 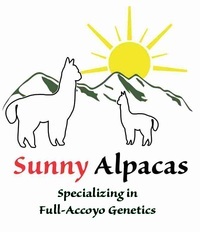 One of Sunny Alpacas' goals is to produce gorgeous darker color full Accoyos. 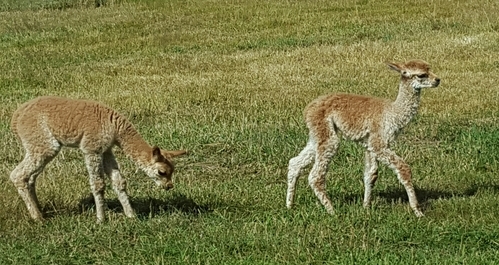 As have some great full Accoyo foundation females which can produce color crias, we are excited to have Beowulf at our farm. 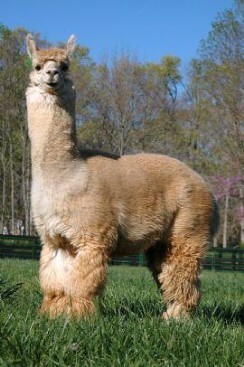 Royal Beowulf's sire is ALPACA HALL OF FAME - Royal Fawn. 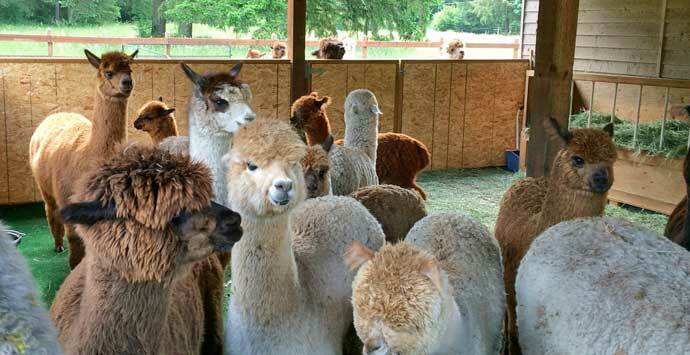 Anyone who is in the Alpaca business knows Royal Fawn! He is the sire of many great herdsires like Dom Lucillo... Beo's juvy fleece was already very dense like a carpet, crimpy and soft. 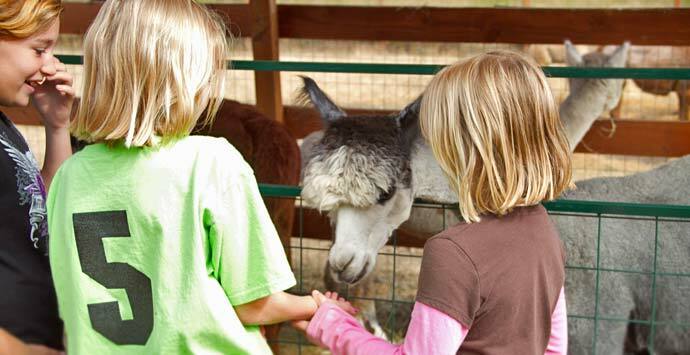 Some would argue that no other alpaca in the country has had as much impact on the industry as PPPeruvian Royal Fawn. 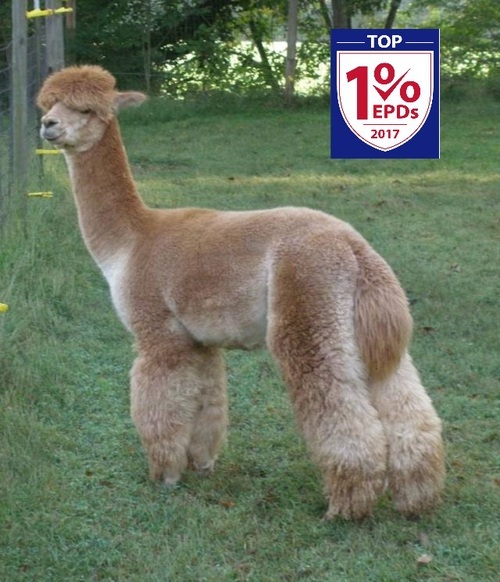 He is a full Accoyo male with a history of passing on his fine-fibered genetics to his 406 offspring. Consistent show winners and high sellers, his progeny boast 108 known champions and 392 blue ribbons in every solid color group. 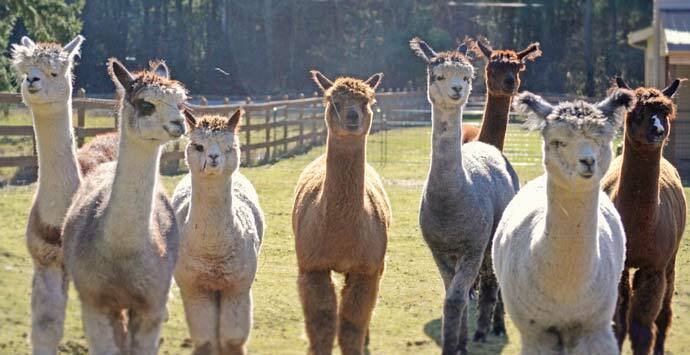 Royal Beowulf is the half-brother to Mary's Accoyo "Hudson" who is the cross of Mary's Alpaca's Belle line and Accoyo Endurance. Hudson was voted Champion of Champions by 3 independant judges from Peru, USA and Canada and multiple color champion LEVEL V shows. 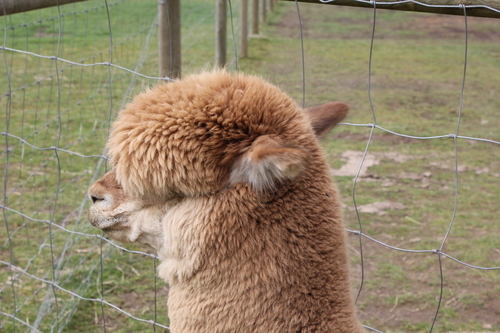 He has perfect conformation and his fleece is dense. 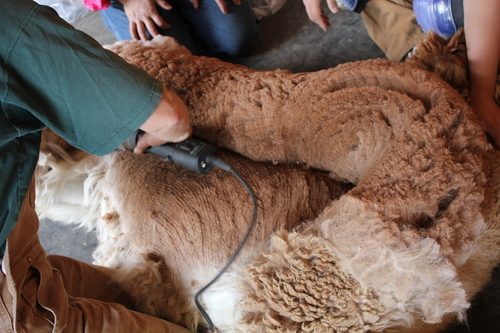 He sheared 10.1 pounds in 2014 with 6.0 pounds in the blanket. Look at his color! Don't forget he is full Accoyo! 1st, Huron Show - Judge "very fine dense young man with extreme coverage and great conformation". Beowulf has not been shown much due to injury foot. Beautiful Crimpy Fleece with Luster!